The figure of the Pope landed at the Venice Film Festival this year in the worst possible way imaginable. It was mocked at, sneered at and vilified by raconteurs of contemporary thought, covered up by artistic and intellectual skills. The first two episodes (out of ten) of the TV series ‘The Young Pope’ were presented at the Venice Festival, directed by award-winning Paolo Sorrentino and produced by Sky, HBO and Canal+: a substantial investment for a product which, along with the Francis Pontificate, eliminates in toto the aura of sacredness around the Pontiff. Sorrentino confines himself to gathering everything secular, materialist, western civilisation has to offer and with this provocative work surpasses Nanni Moretti’s satirical ‘Habemus Papam’ in ugliness, vulgarity and blasphemy: in that film the Pope, who had already lost his role as the Vicar of Christ, was an insecure man in need of psychoanalysis. In this one, instead, we are faced with a diabolical figure. The Church is portrayed solely as a ‘container’ of vanity, power, phobias and megalomania; genuine squalor for the squalid times we live in, where there are no more limits, as the horrendous Charlie Hebdo vignette on the earthquake victims of August 24th demonstrated. 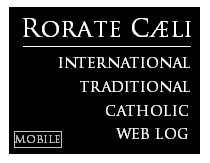 Miasma in an age where the Papacy for the best part of 50 years has progressively renounced the exercise of its original task: to confirm the brethren in the faith and evangelize the gentiles for the eternal salvation of souls. 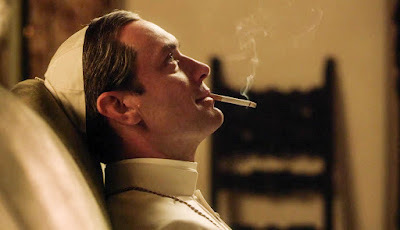 Sorrentino’s Pope is an American called Lenny Belardo, interpreted by Jude Law – and once elected takes the name of Pius XIII. He is a compulsive smoker, wears flip-flops and Louboutin shoes. From October 21st it will be aired on Sky Atlantic, and, perhaps it would be a good thing if the men of the Church, most of all the hierarchy, watched it in order to realize what has actually happened with Vatican II’s aspiration to dialogue with the world: not only are vocations scarce and churches increasingly empty, but now the figure of the Head of the Church is being mocked and ridiculed with such arrogance, so much so, they make the pope say: “I don’t believe in God” and afterwards sneering satanically: “I’m only joking”. However, this film is no joke at all, nor is it a farce. 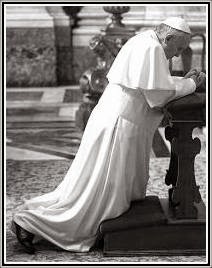 It is, on the contrary, extremely serious in its mirroring of an age where the earthly [organisation] of the Church has lost its orientation; in a word, it has lost its ad orientem altar towards God. The director has no qualms about any comments from ‘across the Tiber’. “How do I expect the Vatican to react? It’s their problem, not mine; they will understand that it’s an honest work, with no sterile provocations and prejudices on the contradictions and difficulties of that world, and of the special priest the Pope is” he said to the Corriere della Sera last September 3rd. Perverted and Pasolinian* is the cinematographic meditation in this architectural operation by Sorrentino. At any rate, the film is totally merciless with the Vatican, which should really address the ‘problem’: i.e. from the post-council crisis of the Church we are now in full agony, which those who use the weaknesses of others deride for personal success, along with serving the Lord of the netherworlds. He enjoys striking and wounding the pseudo-Petrine image, knowing well he is faced with an increasingly less sacred reality, emptied more and more of its contents on faith and doctrine, increasingly fragile, vulnerable, corrupt spiritually and morally. The film has a first-class cast: besides the above-mentioned star in the protagonist role, we have Diane Keaton, special secretary to the pope, who wears a t-shirt with the title of a song by Madonna, Louise Veronica Ciccone, ‘Like a Virgin’; Silvio Orlando instead, interprets, Pius XIII’s adversarial Secretary of State, a sort of Iago, who tries to study the pontiff’s weak points, “because men are like God: they never change”. Orlando thinks mostly about Neapolitan football-players, money and power while Cècile de France is in charge of marketing for the Vatican. Let’s go no further, all of this is quite enough for us to knock at the door of the Vatican and ask: how much longer do we have to renounce condemnation of what is wicked and not right? How much longer does the Truth have to be subtracted, brought by the Son of God to this poor, present-day humanity, drunk on Kant, Freud, Rahner, Teilhard de Chardin, Pasolini, Panella, Scalfari and Sorrentino? For how much longer, after lavishing pearls upon the unworthy, will this being proud before the Holy Trinity continue, this grovelling before men, to see the pearls of great price trampled upon and smashed to pieces by the godless? *Pier Paolo Pasolini – (1922- 1975) writer, poet, playwright, journalist, film director ** Mina – popular Italian singer during ‘60s and ‘70s who now lives in reclusion.